Educators in some states and districts are moving forward at a fast clip in integrating 21st century skills, widely associated with the Partnership for 21st Century Skills, and others have only a passing knowledge of the importance of integrating such skills into teaching and learning. In a recent conversation about 21st century skills, several patterns emerged. Some people indicated that while there had been references in meetings and district documents to the importance of the skills, little change in practice had occurred. Others admitted that they were unsure as to what the skills were or their origin. A few noted that they were aware of the skills, but there had been so much attention paid to the implementation of the Common Core State Standards that the skills had been “lost in the shuffle.” And finally, several teachers volunteered that they were including some of the skills in their lessons but mostly by accident rather than by design. It appears that many professionals feel that their plates are so full that trying to include all of the important and powerful ideas that are being promoted and that should be a part of our students’ learning opportunities is more than a little overwhelming. 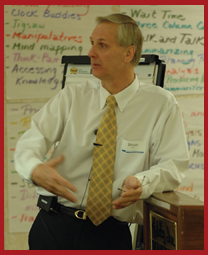 When the discussion moved around to what was keeping teachers from including the 21st century skills in their lessons, they noted that limited time, district requirements, curriculum changes, individual and school goals, emphasis on test preparation, and revised teacher evaluation systems were consuming much of their time, attention, and energy. Why are educators being overwhelmed by the presumed magnitude of the inclusion of the skills in their work? Is the implementation of the Common Core State Standards compatible with the inclusion of the 21st century skills in lessons and units? Are educators teaching their curriculum in a strict academic context instead of linking their content to the world beyond the classroom? Are there ways to make the inclusion of 21st century skills in lesson design that will make them more palpable and doable for today’s teachers? Isn’t it time to give the term “21st century skills” more deliberate and purposeful attention? None of the areas identified by the group are particularly new. The topics have been discussed in some form for decades as important components of students’ educational experience. And yet there still seems to be a paucity of deep thinking about how to make these skills an integral part of the day-to-day life in schools. Over the past decade, P21 has grown from an organization with less than 10 founders to a membership of 30 plus businesses and organizations associated with and connected to the field of education. Since its formation, the partnership has developed a “unified, collective vision for learning known as the Framework for 21st Century Learning.” The framework includes both student outcomes and support systems to help educators build on the base of core academic subjects while simultaneously weaving in 21st century skills. The proposed outcome for this work is for students will be more engaged in the learning process, use skills and knowledge in a more real-world context, and thus be more prepared to succeed in today’s global economy. At first glance, the task of incorporating 21st century skills into lessons can seem daunting. However, when taken in small doses, the possibilities and options become possible and even achievable. Here are a few thoughts that may provide clarity and implementation guidance on doing just that. What strategies did Lincoln employ to get the 13th Amendment passed? Were the approaches used legal, ethical, and morally right? Are there other historical situations we have studied where the end might have justified the means? As a follow-up, she planned to ask her students to flash ahead 100 years to the 1960’s when President Lyndon Johnson masterminded the passage of civil rights legislation. The students were to investigate how Johnson achieved his goal and compare his actions with those of Lincoln. Further, she planned to conduct a class discussion about modern-day legislation such as the Patient Protection and Affordable Care Act under President Obama. Skills included in the lessons included critical thinking, civic literacy, information literacy, and communication and collaboration. The intent of this issue of Just for the ASKing! is to provide motivation, inspiration and direction for teachers to put ideas in place that will make a stronger connection to the world outside the school environment, motivate students to want to learn more, and to bring some excitement and relevance to the classroom. Hopefully the suggestions offered here will provide the impetus for all of us to explore new and untried options and resources. The Partnership for 21st Century Skills website provides tools and information to help educators implement the 4Cs (critical thinking and problem solving, communication, collaboration, and creativity and innovation). The Science Education Resource Center at Carleton College provides information and resources on cooperative learning. Global Institute for Corporate Education explains the Six-Step Problem-Solving Model. 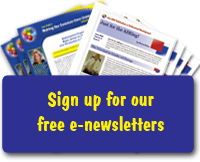 Kelly Gallagher’s Article of the Week archives provide a list of real-world texts to use in promoting student literacy and global awareness. Sibley, Bret and Elizabeth Marconi of the Southern Nevada Regional Professional Development Program write about Depth of Knowledge (DOK). 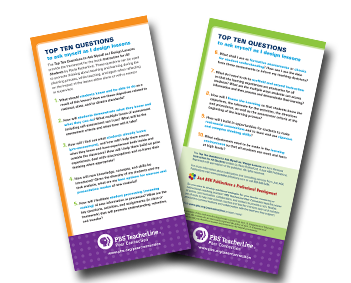 The PBL Essential Elements Checklist template from the Buck Institute for Education (BIE) helps teachers design projects that are at the core of the learning. This two-page Project Overview template from the Buck Institute for Education (BIE) helps educators include 21st century skills, formative and summative assessments, and reflections in the projects they design. Oliver, Bruce. “Making 21st Century Skills Come Alive!.” Just for the ASKing! March 2013. 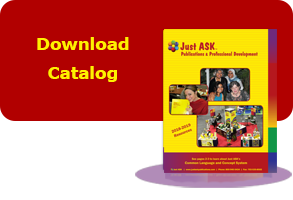 Reproduced with permission of Just ASK Publications & Professional Development (Just ASK). © 2013 Just ASK. All rights reserved. Available at www.justaskpublications.com.